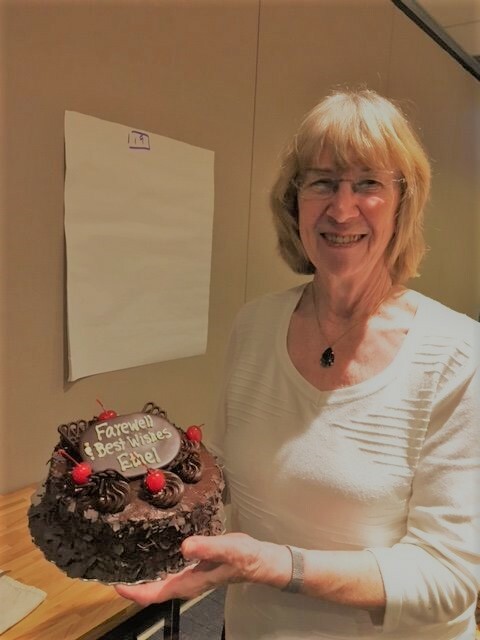 Ethel Warbinek attends her last meeting of the lower mainland branch of the BCHNS on June 7, 2018. Ethel, shortly relocating to the Okanagan, plans to participate in our future meetings via skype from her new home in Penticton. Ethel has been an extremely active member, having served the Society in countless ways for many, many years. Her presence will be greatly missed. Best wishes to you Ethel!